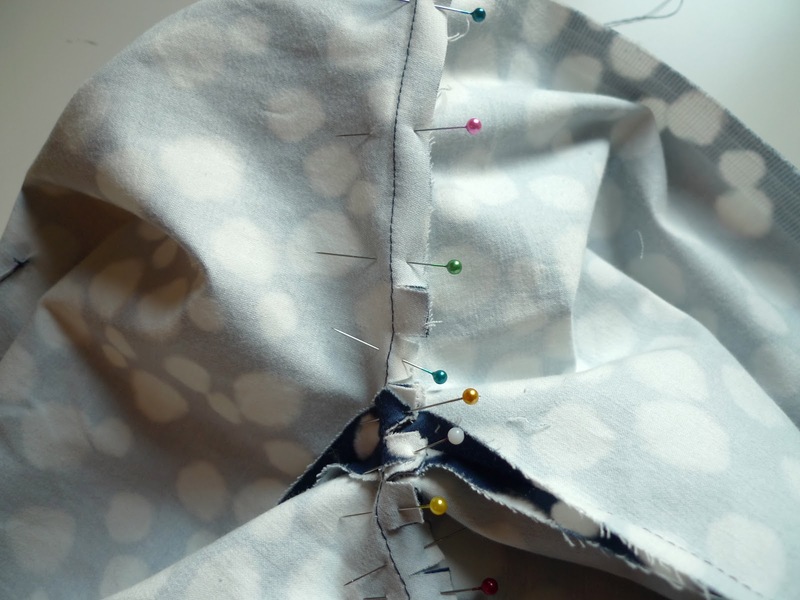 At this stage you should have a the bodice shell and lining darts completed, sewn along the side seams and attached at the neckline. 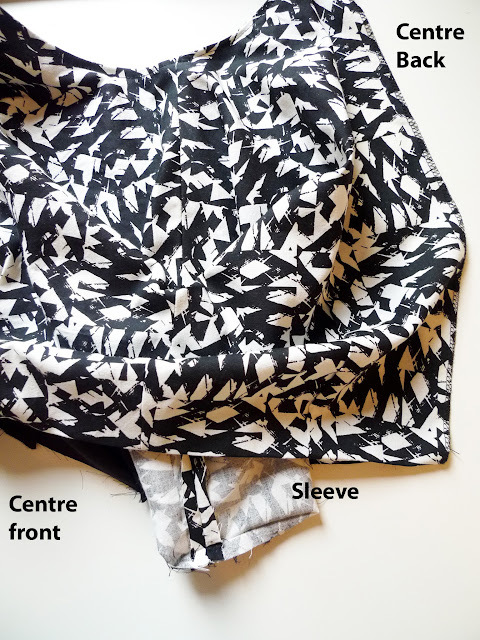 Press, right side out at neckline to set the crease. 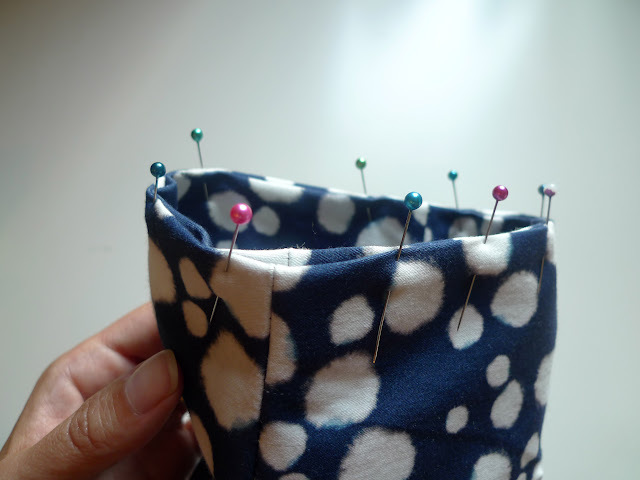 Pull the bodice apart, wrong side out so that it looks like the picture below. 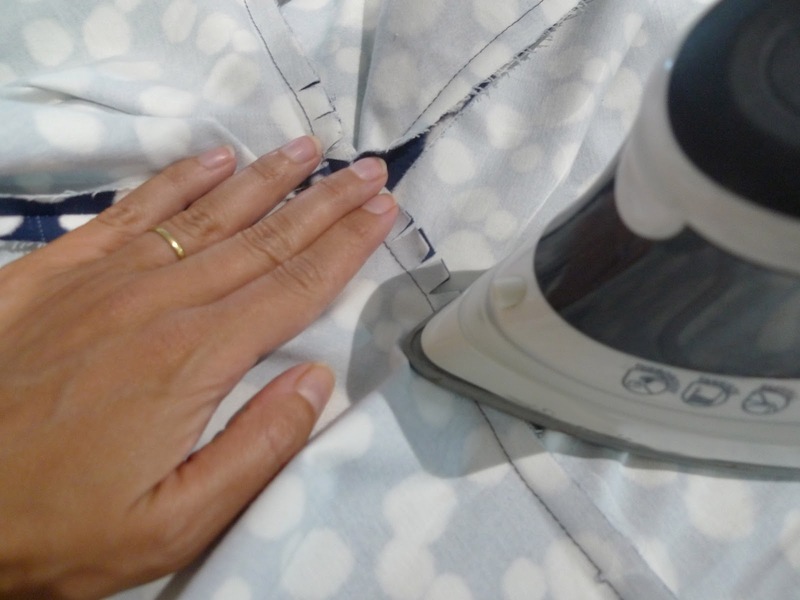 Press again, towards the lining or self-lining side. 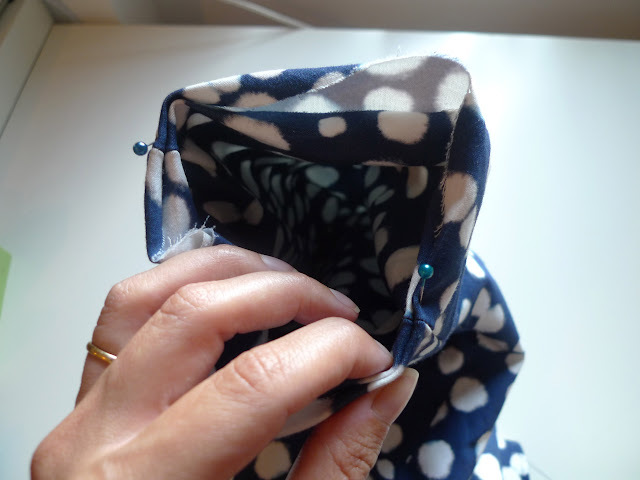 Pin the pressed neckline in place, against the lining. 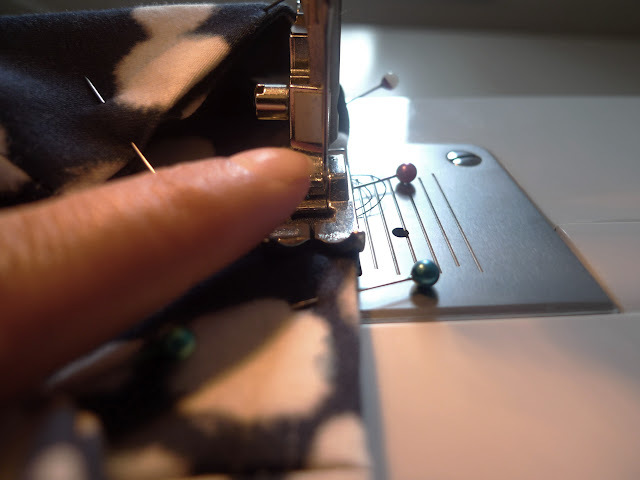 Sew a row of stitches very close (1/8”/ 5mm or 1/4”/8mm) to the seamline, catching the seam allowance and the lining. Press the neckline again, right side out. 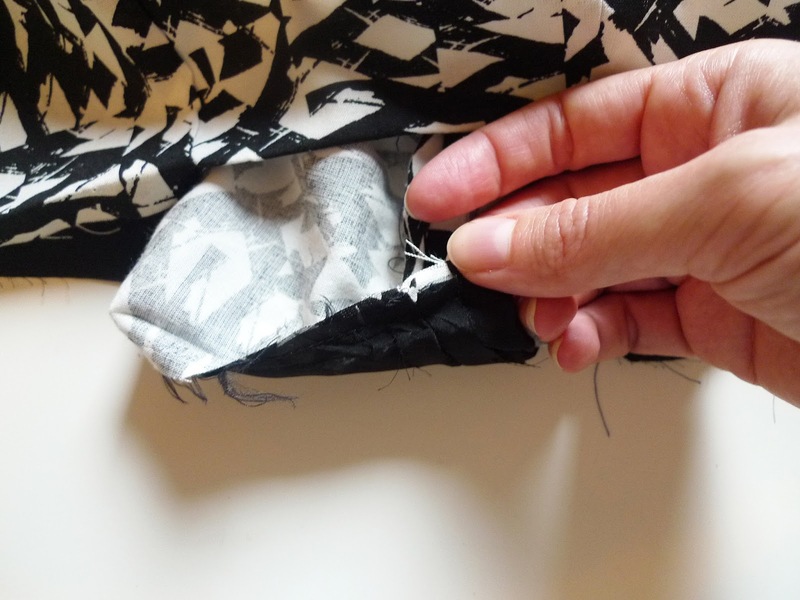 The first method is to show the stitching on the outside of the sleeve. 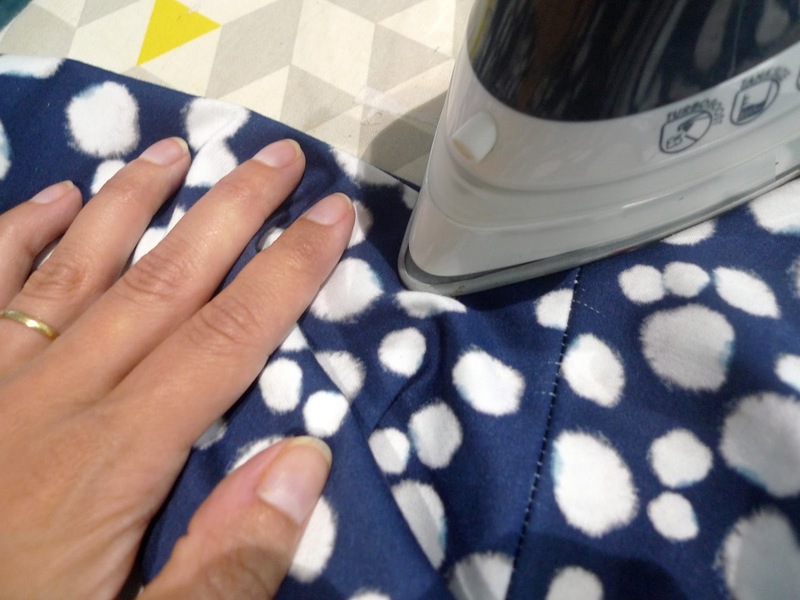 It is a little bit easier, but you should only follow this method if you are using medium weight fabric that has some body and less drape - like denim or sateen. 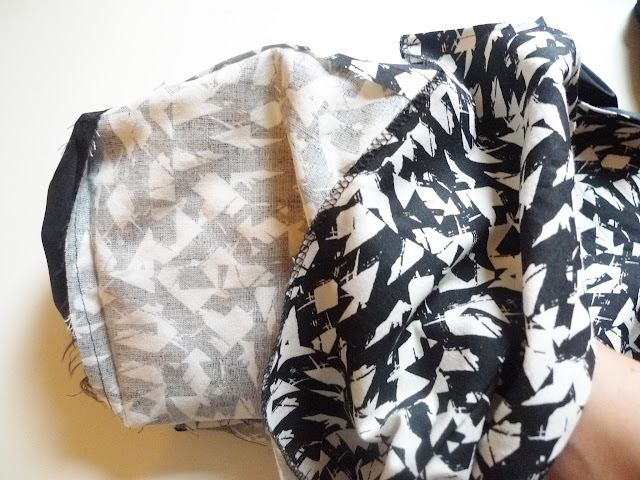 Below I'm using a mid-weight cotton with a little bit of stretch in it. Working from the neckline to the end of the sleeve, pin the top of the sleeve shell and lining together so that when you get to the end of the sleeve end they line up perfectly. 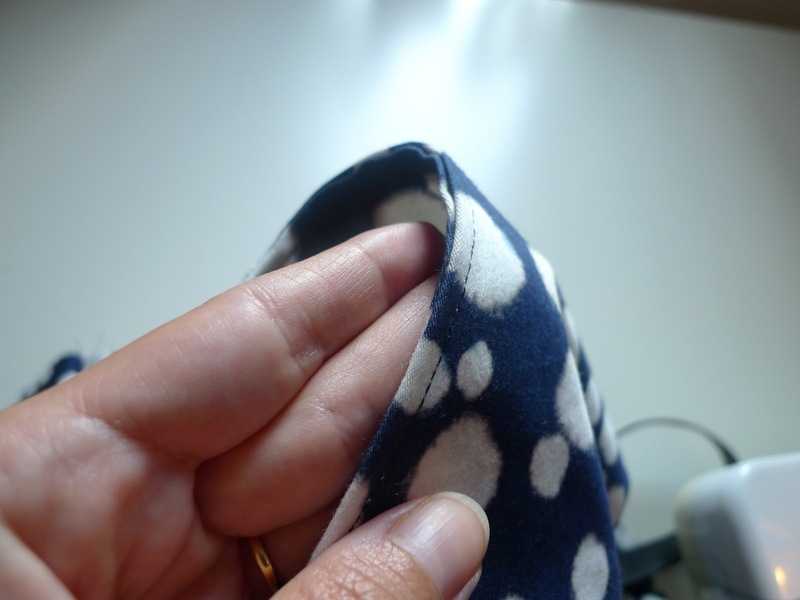 Using the creases you made earlier as a guide, pin the lining to the shell around the circumference of the sleeve. 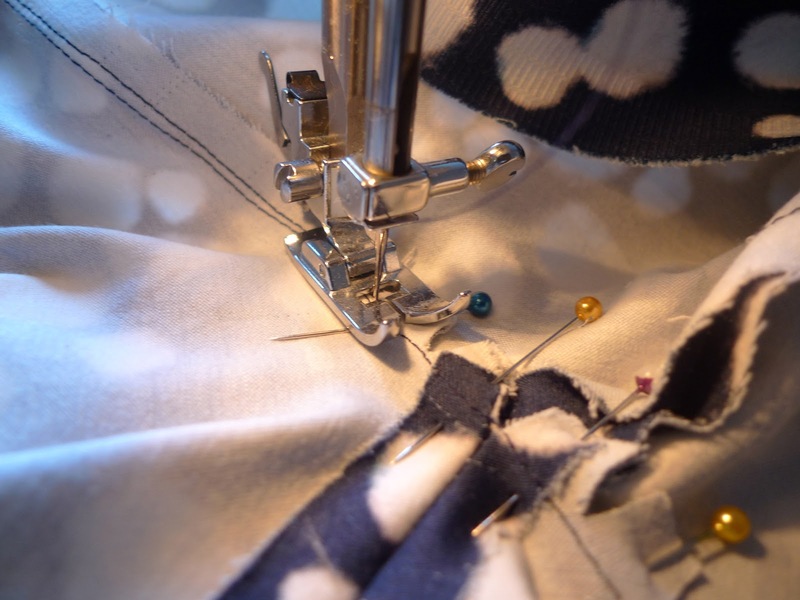 With your machine needle set to the right and the lining facing up, stitch a narrow hem all around the sleeve. The second method is for lighter weight fabric with less body - lightweight cotton, lightweight wool or viscose, shown below, for example. The stitches will be on the wrong side of the fabric and allows for a little more give, so that the shell and lining fall naturally from the shoulder without interruption. Pull both parts of the sleeve - the shell and the lining - down through the bottom of the bodice in between the shell and the lining. 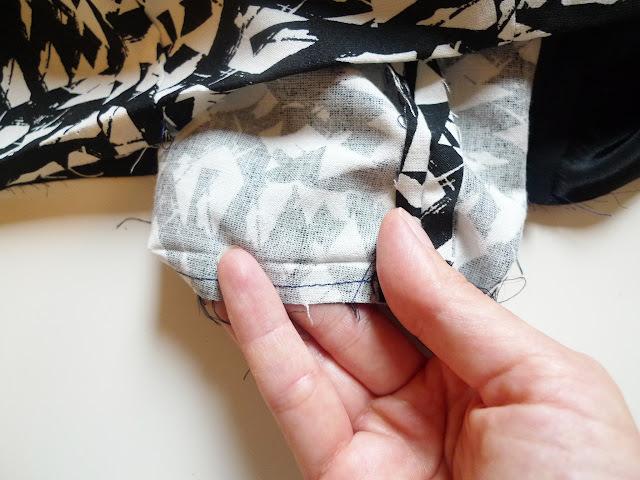 Match the top and bottom seams of the sleeve, right sides together. 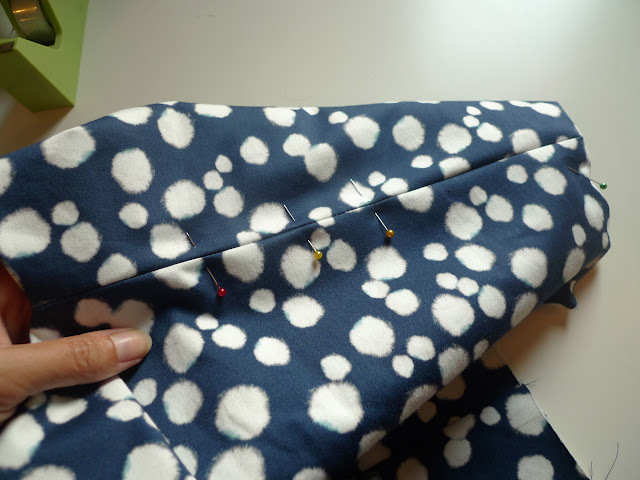 Stitch around the circumference of the sleeve, right sides together. 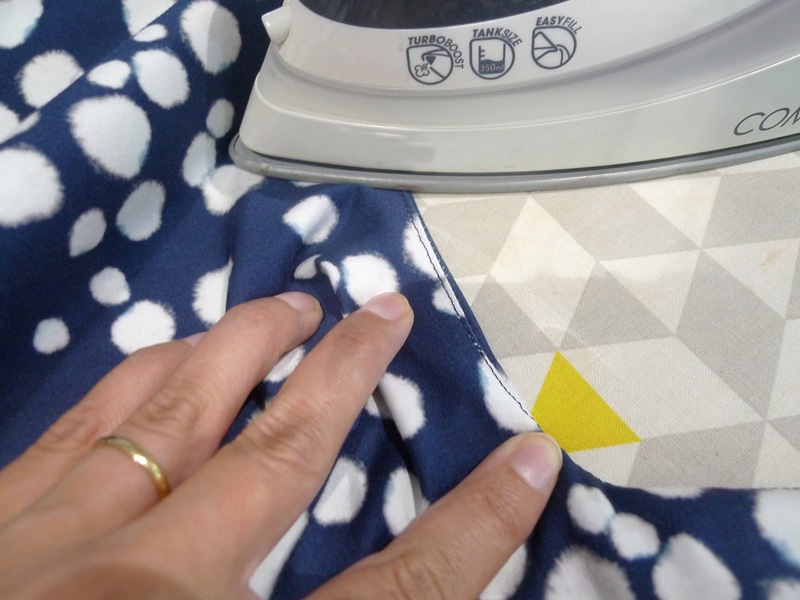 Pull right side out and repress as needed. 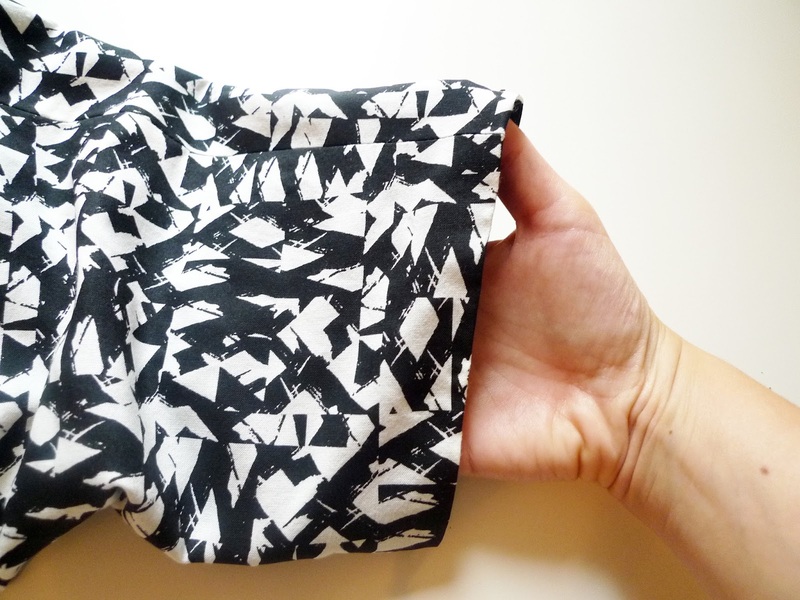 That's the bodice completed! 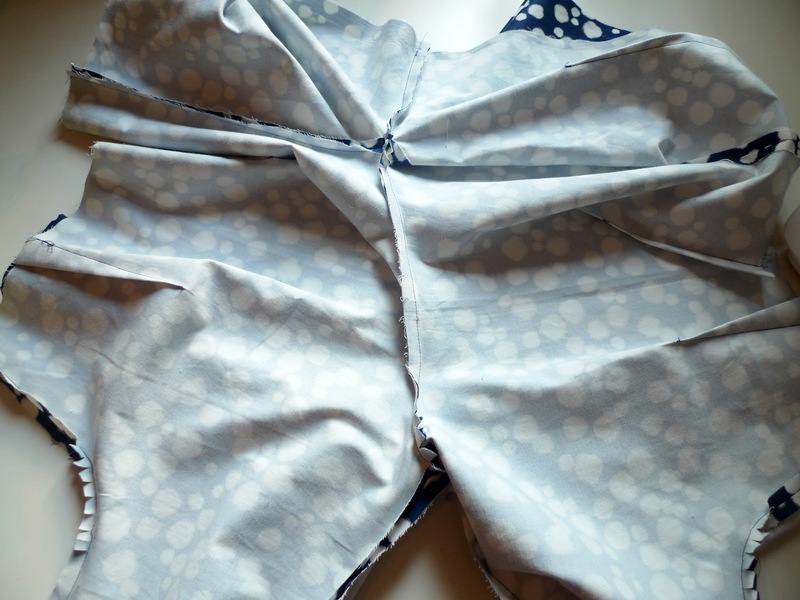 Tomorrow we tackle the skirt. See you then!